Nell’autunno del 2012 Luuk Van Middelaar, un filosofo belga prestato alla politica, mi invitò ad incontrare Herman Van Rompuy... Read more here. Come può un Paese ricco chiudersi a riccio di fronte al dramma dei profughi?Read the Corriere della Sera article by Maurizio Ferrera on solidarity and Denmark here. in West European Politics, Vol. 37, issue 4, 2014, pp. 825-843. 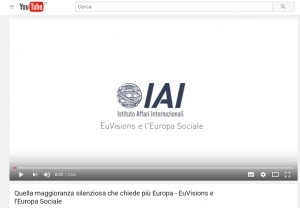 The article starts by identifying the main institutional components of the (elusive) concept of Social Europe: the ‘National Social Spaces’, i.e. the social protection systems of the member states; the ‘EU Social Citizenship Space’, i.e. the coordination regime that allows all EU nationals to access the social benefits of other member states when they exercise free movement; the ‘Regional Social Spaces’, i.e. sub-national and/or trans-regional social policies; and the ‘EU Social Policy’ proper. Based on such reconceptualisation, the article then revisits the main analytical insights and substantive findings of the volume’s contributions, focusing in particular on dynamics of ‘social re-bounding’ during the crisis, on national implementation processes, on the relevance of ‘fits’ and ‘misfits’ for social policy compliance and on issues of democratic control. In the conclusion, some suggestions for future research and for the EU’s social agenda are put forward.